1) Right Timing Almost a year ago, Kayak's chief scientist analyzed data from the millions of daily searches happening on the site. He made some significant and helpful conclusions, one of which was fares were the lowest 15 days prior to departure. More of his tips are summarized here. 2) Don't Rule Out Spontaneity Another deduction the Kayak scientist gleaned: the last-minute price of a flight was in some cases similar to the 15-day sweet spot. I found this out firsthand last December when I booked a last-minute flight to Maui on Friday night that left Saturday morning. Although this isn't always practical, it shows that there's still room for spontaneous travel! 3) Be Flexible Sometimes our dates aren't very flexible, other times they are. Either way, depending on your trip style or amount of time away, you might have a little wiggle room. Use this wiggle room to your advantage! For example, the price difference between leaving friday night or Saturday morning can be staggering. 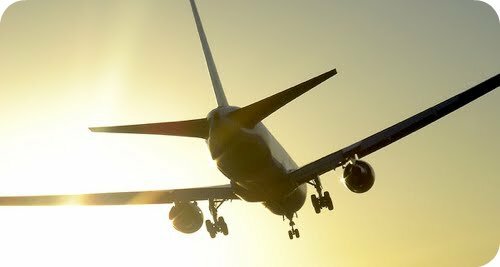 Therefore, when searching for a flight, always be open to leaving a day--even a few hours--before or after your ideal time, to save money. 4) Magical Midweek I get it, leaving on a tuesday or wednesday is not always feasible, but, if you can plan ahead and pull it off, these magical midweek days are often much cheaper than flying over the weekend. 5) Shoulder to Shoulder This one's a no-brainer, but if you want to take an epic trip, why not travel just before or just after the destination's high season to reap the rewards of lower airfares and greater hotel savings. For example, in mid-August I went to California and stayed at a lovely hotel in Laguna Beach. If I had waited only two weeks later to stay there, my rate would have been 50% less and the weather would have been just as nice! PS - Victoria's only a hop, skip and a jump away from Vancouver and Seattle, and it just so happens there's a great event happening near the seaside town of Sidney, BC on Saturday, October 16th. Multi-Juno winner and Blue Rodeo frontman Jim Cuddy will be performing at an airplane hangar-come Tombstone saloon. This event, which includes a gourmet BBQ, will raise money for the Saanich Peninsula Hospital Foundation. Click here for ticket info and other details.